Drogarati Cave, was discovered 300 years ago, when a part of it was destroyed because of a strong earthquake, and so the entrance was created. The cave’s depth is 60 meters from the ground level, the temperature is 18 C and the humidity is 90%. 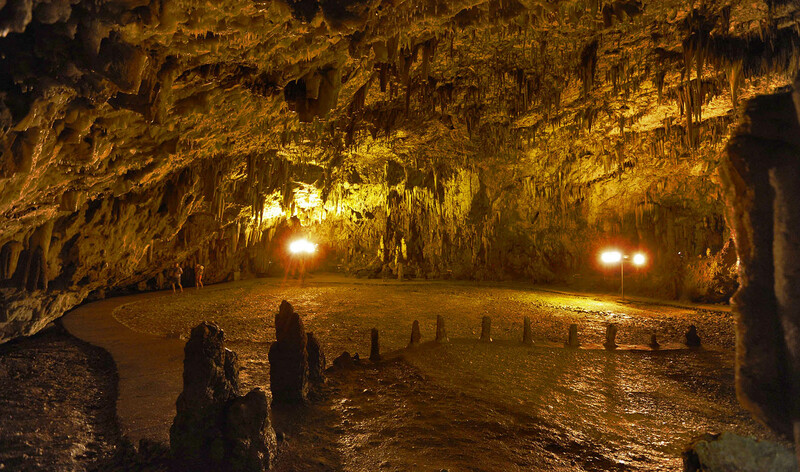 Initially, the cave was developed and used by the community of Haliotata, under the supervision of the speleologist Mrs. Petrocheilos. It is open for the public since 1963. Speleologists have confirmed that the cave has an extension that is not approachable. That means that the cave is probably connected with other caves in the area. It’s got many stalactites and stalagmites created from the rain, which comes through the rocky level of the cave. A stalactite grows one cm every 100 years.